Lori's Twisted Cork & Spork | "Winey" thoughts ! I was so happy to get an invite from my friend Samuel of Redoux to try one of his new wineries that he just added to his portfolio and meet the winemaker: Stephanie Cook of Wonderment Wines. The event was at the Jaspers in Richardson in the CityLine center. What impressed me was that Jaspers is trying to offer small wineries on their wine list that you don’t find in a lot of restaurants. Wonderment definitely qualifies. Stephanie is such a delight to talk to. Her passion is single vineyard wines. I think that is fantastic! You know exactly where the grapes come from and you know who takes care of the vineyard. A lot of these vineyards are family owned. Winemaking is not new to Stephanie. Her Dad used to make wine from Muscadine in the family laundry room when they lived in South Carolina. Luckily she left the laundry room and had the opportunity to work at Spottswoode in Napa and Spy Valley in New Zealand. In 2011, Stephanie made her first Pinot Noir and Zinfandel. I must say, that this is one of the few winery tastings that I had a hard time deciding which wine was my favorite. 2015 Las Trancas Vineyard, Sauvignon Blanc, Oak Noll District, Napa Valley. Taste: Asian pear, light peach, nectarine and lemon curd. Finish is bright grapefruit and stones. This would be my “to go” on a hot Texas day. 2013 Dr. Stan’s Pinot Noir. Just a bit about Dr. Stan’s Vineyard…It is considered a “gentleman’s vineyard”. It’s less than 1 acre and is planted with 30 + year old Pinot Noir and located in the Carneros Sonoma County American Viticultural Area. 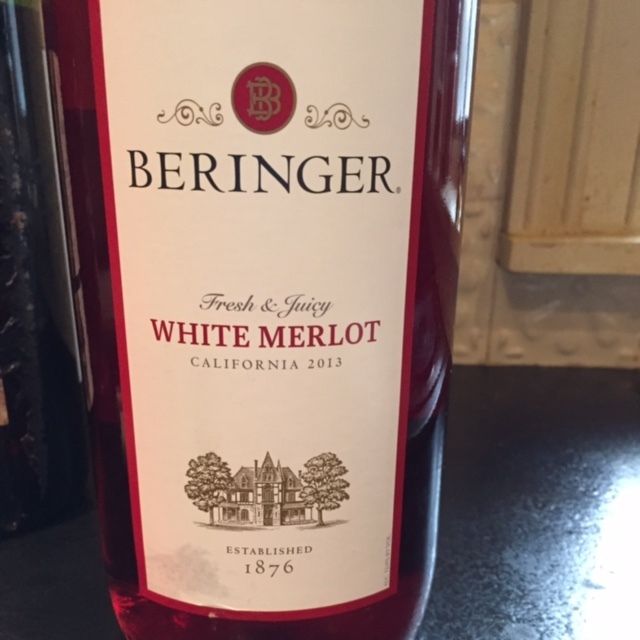 Taste: cherry, cranberry, almonds with a spicy, earthy finish. I want a case of this! 2013 Dutton-Campbell Vineyard Pinot Noir, Green Valley of Russian River Valley, Sonoma. Taste: bramble, cranberry, dusty sour cherry with a finish of baking spices and strawberries. I love that this wine is from Green Valley. Green Valley is one of the smallest appellations in Sonoma. 2013 Bacigalupi Vineyard Old Vine Zinfandel, Russian River Valley, Sonoma. 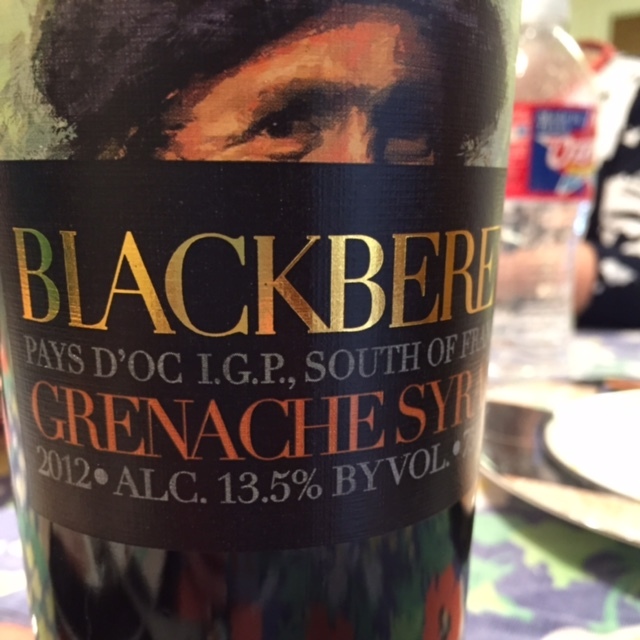 Taste: blueberry, blackberry, under brush with a bold finish of licorice and dark spices. A good text-book old vine Zin. 2012 Rockpile Zinfandel from the Pritchett Peaks Vineyard, Sonoma. Taste: lush ripe black and blue fruit. The finish had a bit of eucalyptus and dark spices. It made me crave BBQ. 2013 Burton Ranch Vineyard Old Vine Zinfandel, Lake County. Taste: dark spices, rich dark fruits. Juicy mouth feel but very balanced and didn’t have that over the top alcohol burn that some Zinfandel wines get. Great! 2013 Bacigalupi Vineyard Petite Sirah, Russian River Valley, Sonoma. Taste: stewed plums, tobacco, cocoa, blackberry. A bold wine with an elegant finish that was surprising. I don’t drink a lot of Petite Sirah because it fatigues my palate and I feel like I have bowl of overripe fruit weighing me down. This one was so delightful and kept its varietal integrity. This was a fantastic evening and I’m so delighted that I made the acquaintance of a winemaker that has a focus on single vineyard wines. Part of the mission statement of Wonderment Wines: “represent intelligent effort, value and balance which create a sense of “Wonder”…. It is one of the best educational, friendship building, fun times you can have with a bunch of wine geeks in 3 days. My 2 favorite seminars: “Rum Complexities”. I really took rum for granted & had no idea it could have so many nuances…plus we had to say “argh” like a pirate before class started. I love Sommeliers that have a sense of humor. The other seminar was a retrospective of Robert Mondavi Fume’ Blanc aka Sauvignon Blanc. I was so surprised at the age-ability of Sauvignon Blanc. My favorite was the 2001. I enjoyed the history of the Mondavi family & vineyards. My favorite Hospitality Suite was Mutual Trading Company’s sake. It was such a welcomed change from all of the wine and It had been a long time since I had good sake. Mutual Trading Company – Sake! I recently made the acquaintance of Samuel Rickords at Malai Kitchen and was impressed with his wine distributorship portfolio. He and his wife Amanda are the owners of Redoux Wines and they distribute one of my favorite wineries; Sojourn Cellars. He told me that he was doing a wine tasting with cheese at Urbano Cafe’s new space called “Two Doors Down”. I have never been to Urbano Cafe, so this was a great opportunity to check it out. Urbano Cafe is known for their fantastic American/Italian cuisine (reservations are recommended) and their policy of letting diners bring their own bottle for a small corkage fee. They also sell beer and wine by the bottle or glass. Please check the website or call to verify the BYOB policy. The restaurant is very small and the additional space of “2DD” helps accommodate parties of 6 or more. It also has a bar and on occasion; live music. 2013 Scarlett Wines, 1070 Green Sauvignon Blanc: white peach, grapefruit, lime, papaya. Very elegant with a mid-palate citrus finish.This wine was blended with a small percent of Semillon which added a soft, round mouth feel. 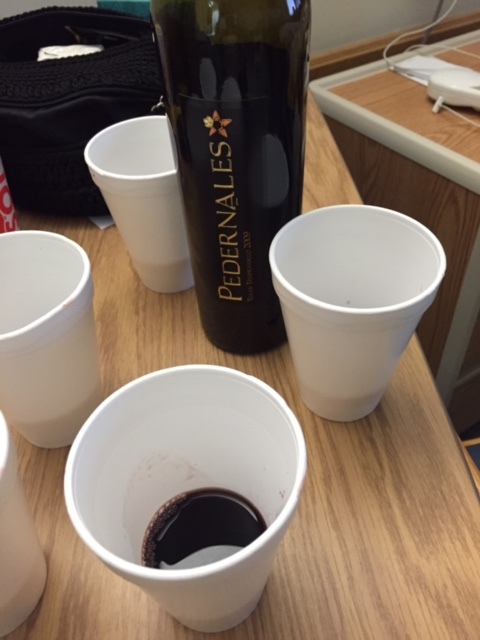 I was so taken with this wine, that I really forgot to analyze it with the cheese choices…I just drank the wine! *I bought a bottle and paired it with a rosemary crusted Asiago cheese and was in heaven! 2013 Sojourn Cellars, Pinot Noir, Sangiacomo Vineyard, Sonoma Coast: very ripe fresh cherries, eucalyptus, a little bit of earth and mushroom. Moderate tannic bite on the finish. It needed to open up a bit. It was fantastic with the aged white cheddar cheese. 2008 Robledo Family Winery, “El Rey” Cabernet Sauvignon, Red Hills Lake County: licorice, dusty cherries, sweet tobacco leaf, with a light smoke and black fruit finish. Not overly oaked and a delight to drink. Really nice with Parmigiano Reggiano. My cousin, Catherine and I decided that we wanted to eat dinner here; but the restaurant was booked. However, we were told if there was an empty table in the 2 Doors Down space; we could eat in there. So we grabbed a table and bought a bottle of Robledo Cabernet Sauvignon. We paired it with Steamed Mussels, Beef Tenderloin and Blackened Pork Chop. The Steamed Mussels were in a basil, garlic, chorizo, tomato broth. The wine was perfect with this because the acidity in the wine matched the tomato acidity in the broth. Since the wine was not a “fruit bomb” it did not overpower the mussels. The Beef Tenderloin was presented over smoked mozzarella grits. This was another stellar pairing. The beef was tender and juicy and the wine help cut the richness a bit as well as the richness of the grits. It really balanced this dish. The Blackened Pork Chop also had smoked grits but it was the demi-glace that made this dish wonderful with the wine. It added a bit of sweetness and brought out the fruit in the wine. I’m so glad that Urbano Cafe added Two Doors Down because they need the space to accommodate their loyal diners and newbies like me. Especially, if they have wonderful wines like these to help show off the fantastic food. Cheers to: “THE” Samuel of Redoux, Urbano Cafe, and of course my fabulous Cousin Catherine; who is always up for a culinary adventure. I had the pleasure of joining some of my Dallas Wineux friends for lunch at Malai Kitchen. The Thai-Vietnamese restaurant was trying a new wine flight program. Normally don’t drink wine with a lot of Asian dishes because sake is always my first choice. However, I was delighted in the selections for Malai’s wine flights. 2014 Selby, Sonoma County, CA. Sauvignon Blanc (with a small bit of Semillon). Profile: Apricot, Asian Pear, White Flowers with a light acidic clean finish. 2014 Chateau Routas, Provence, FR. A rose’ blend of Cinsault, Grenache & Syrah. Profile: Strawberries, green herbs, earth, mineral with a crisp finish. 2012 Les Vignes d’Alexandre, Chateauneuf-du-Pape, Rhone, FR. A blend of white grapes – possibly Grenache Blanc, Roussanne & Viognier. Profile: Apricot, Peach, light floral with a bit of black tea finish. 2014 Kessler “R”, Rheingau, Germany. Riesling (Kabinett in style “light”). Profile: Ginger, Peach, Lemon, Lime with a bright acidity that made for a light palate cleanser. 2006 Chateau Compassant, Bordeaux, FR. A blend of Merlot, Cabernet Sauvignon & Cabernet Franc. Profile: Ripe Cherry, earthy with a bit of a smokey finish. 2014 Bodegas Filon, Aragon, Spain. Garnacha aka. Grenache. Profile: Raspberry, Cherry with a bit of a “gamey” quality and ripe tannins. 2011 Renwood “Old Vine”, Amador County, CA. Zinfandel. Profile: Lush ripe black fruit, Vanilla, smooth tannins. 2012 Bell, Sierra Foothills, CA. Syrah. Profile: Rich ripe plum & Figs. Mocha and black pepper finish. Vietnamese Meatballs. Ahi Tuna Tartare. Curry Shrimp. Red Curry Cod. Pan Seared Snapper. Drunken Noodles. Coconut Soup. Mango Sticky Rice. Coconut Cream Pie. The Selby wine was a stand out with the Tuna Tartare. Actually the Selby was a good with a lot of dishes. Kessler “R” over powered the tuna, but added another layer of herbs to the Curry Shrimp. Bodegas Filon brought out the aromatics in the Snapper dish. I really liked both Renwood & Bell with the Mango Sticky Rice. It was a roller coaster for the taste buds for sure! I highly recommend trying out the wine flight. Also, the wines by the glass are really great too. Have fun and play with the food at Malai Kitchen. You won’t be sorry. Thank you to Yasmin, the Proprietor at Malai. You were a fantastic hostess. It has been way too long since my last post and a lot has happened to me emotionally and physically. After my Dad died, I (along with my sisters) had to deal with selling our family farm. That included a 2800 sq.ft house, 13 acres of land, farm equipment, a rodent infested barn and a house full of items that my parent’s had accumulated for over 30 years. After we got that done, then my husband and I decided that we needed to be financially pro-active and sell our house. Sully’s unemployment was taking a toll on our savings and it didn’t make sense to use some of it to maintain our house. So we sold our house and most of our possessions and moved into an apartment. To say this has been a year of transition, has been an understatement! I’m damn tired of it too! I was so happy when we got an invite to just hang out, eat pizza and BYOB with some of our friends that we had not seen in a long time. I brought my “go to” champagne, J. Lassalle. It is around $35 and it is a “grower” champagne. That means the family makes champagne from their own grapes…sort of a “farmer’s cuvee”. Normally, Champagne Houses buy grapes from farmers all over the Champagne region. They do not grow the grapes. Look for the letters “RM” on the label. That is how you know it is a Grower Champagne. This champagne was wonderful with the assortment of pizzas, especially the veggie. Dessert was a homemade banana pudding with Chessmen Butter cookies. 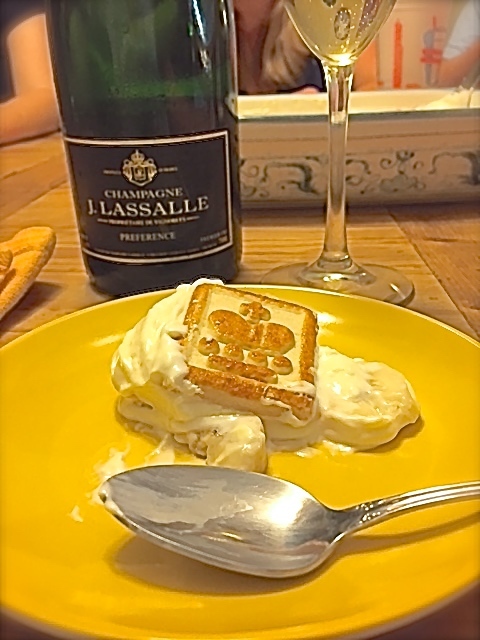 The pudding was not overly sweet and it complimented the nutty, yeasty bread elements in the champagne. It was a delightful match! The whole evening was filled with laughter and catching up on how everyone is dealing with their “transitions”. It really was comforting to know that gathering around a table with friends will always be uplifting and never change. 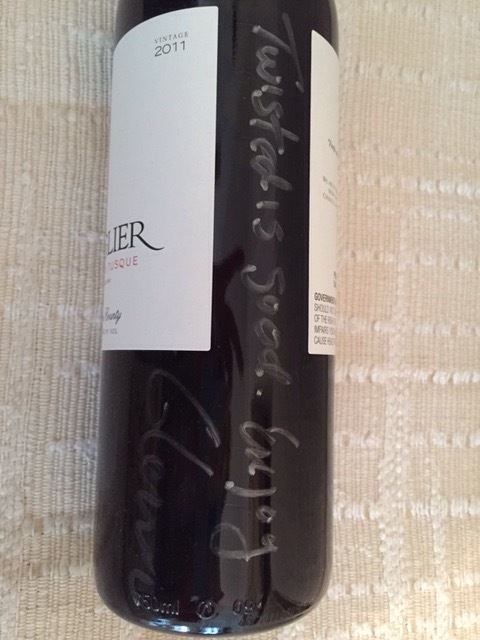 I’ve had the pleasure of meeting Glenn Alexander, the farmer/winemaker of Sanglier Cellars a few times. I have never been disappointed with his wines. I respect his attitude of being a farmer first and a winemaker second. I find people with that kind of attitude know that quality wine starts with the grapes in the vineyard and are more attuned to the whole process of making wine. Plus, they are more interesting to talk to…that’s just my personal perspective. What I find amazing is that Glenn and his wife, Melissa (who is a fantastic cook and owns 1500 cookbooks) were farmers in Texas and decided to move to Sonoma County to try farming grapes and getting into the wine business…. 2013 Rose Du Tusque, Sonoma County: This is a blend of Grenache and Mourvedre. It is has ripe red fruit with a little floral and spice. It is very food friendly and not just for summer drinking. It was one of the Rose’s that I served at Thanksgiving. 2010 Chardonnay, Sonoma Coast/Sonoma County: I have written about this wine before in the post “Chardonnay & BEEF“. This Chardonnay was a favorite in a blind tasting I did with my Twisted Peeps. It has balance between oak and fruit. 2011 Rouge Du Tusque, Sonoma County: It is a blend of Grenache, Syrah, Petite Sirah, Cinsault and Mourvedre. This is lush berries with an earthy coffee, mineral finish. 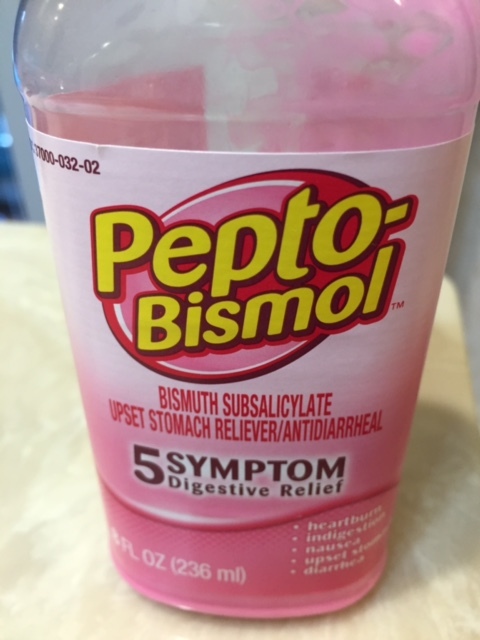 Really great with pizza or bar-b-que. 2011 Pinot Noir, Russian River Valley/Sonoma County: This is an intense Pinot. It has baking spices and red fruits with elements of smokey mushroom and black tea. I fell in love with it at first sip. I bought 2 bottles so I could see how this wine would evolve. Please go to their website:http://www.sangliercellars.com to see more of their wines and check out Melissa’s section called “Farm. Eat. Drink”. 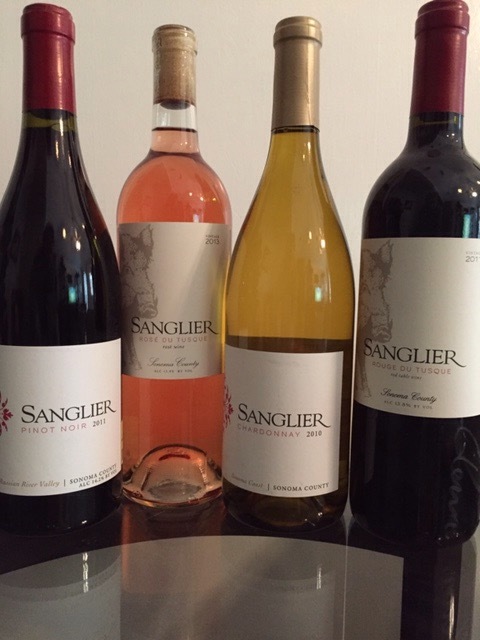 If you live in the DFW area, you can buy Sanglier at Whole Foods, Cork Wine Bar and Pogo’s. I agree, Glenn…twisted is good!